Wrinkles, creases, fine lines, freckles, sagging skin, thin lips and dark circles are some of the most common signs of aging that can be visible on the face. These aging signs make you look older than you really are and affect your self-confidence tremendously. You might be thinking of a surgical facelift to look younger but the matter of the fact is that some of you may not need or would be unwilling to undergo facelift surgery as it might not fulfill your aesthetic goals. Fortunately, there are non-surgical facelift alternative procedures available today that can reduce most signs of aging and revive your youthful look again. What are the benefits of non-surgical facelift alternatives? It is a non-invasive, safe and effective procedure. During the procedure, lasers emitting intense pulsed light directed on the treatment areas penetrate deep into the dense layers of the skin stimulating new collagen production. IPL Photofacial is used to treat wrinkles, skin redness, tiny veins; sun damaged skin and brown or red pigmented spots. The time of the procedure depends on the treatment areas but usually it takes less than one hour. A patient receives 3-6 treatment sessions with 3-4 weeks apart following which, the brown spots become dark and within 1-3 weeks, they start to flake off and fade while improving the skin tone and complexion. 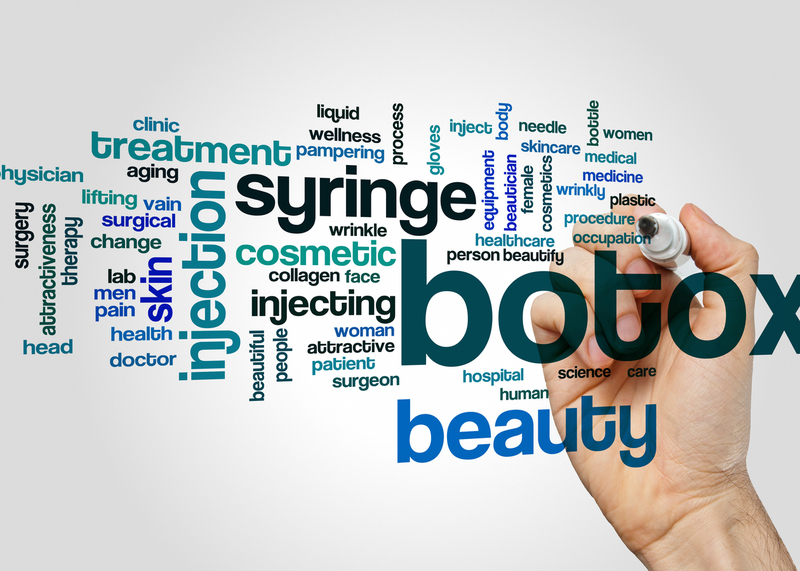 Botulinum toxin injections or Botox injections is one of the popular non-invasive procedure for facelift. It is used to eliminate wrinkles, frown lines, crow’s feet and forehead creases. The treatment involves small amount of Botulinum toxin injected into the underlying muscles. It relaxes the muscles and prevents them from contracting which results in the reduction of wrinkles and prevents further development of wrinkles. The treatment requires minimal recovery time and the patient may feel mild redness and swelling that only lasts for few hours following the procedure. The specialist determines the required number of treatment sessions according to the structure of the treatment areas and patient’s desired goals with visible results starting to appear within 3-7 days. Thermage is a popular non-invasive procedure that renews the skin collagen and tightens the loose and sagging skin while reducing the wrinkles. During the procedure, capacitive radio frequency (CRF) energy is inserted into deep skin layers stimulating the production of natural collagen. The procedure may take one hour depending on the size and condition of the treatment areas. It involves less discomfort and no downtime. Along with smoothing the wrinkles and tightening the skin, thermage also lifts the eyebrows making cheekbones more prominent. Since the CRF starts stimulate the growth of new collagen, the process continues to grow longer after the first treatment session. Therefore, thermage requires few sessions as compared to other non-surgical alternatives. Injectable dermal fillers are widely used non-surgical procedure to reduce aging signs such as facial creases, wrinkles, recessed scars, frown lines, crow’s feet and thin lips. A wide range of different products are used in these fillers depending on the type of aging sign to treat. The doctor can better determine the type of product to be used. During the procedure, a thin needle is used to inject the dermal filler product into some of the facial areas. These fillers below the skin smooth the wrinkles or fine lines, while some filler are used to enhance volume of lips. Common dermal fillers are as follows. Thread Lift is the new non-surgical method for facelift. During the procedure, the doctor inserts very thin threads into the face through needle in the targeted areas. These threads are attached to the skin tissue and then the doctor moves them to stretch the face in different ways making the skin tight and firm. The ends of threads are hidden and are absorbed by the body. Usually, the effects last several months. Although the process seems unusual, it is an effective and quick alternative to surgery. It is minimally invasive procedure. 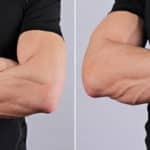 The most important benefit of thread lift is that patients can see the actual procedure and ensure whether they are getting their desired results. Ultrasound can be used to lift the skin and to stimulate collagen production. It is also commonly known as Ultherapy. During the procedure, ultrasound sends sound waves to the targeted areas, promoting the growth of new collagen that results in skin lifting and tightening. The ultrasound device can reach deep into the layers of the skin penetrating the muscles layer. Like other non-surgical procedures, Ultherapy does not involve any recovery time, downtime and the patient can immediately return to the daily activities. Microcurrent facelift is the latest and advanced non-surgical alternative quickly becoming popular among the cosmetic surgeons. It involves the gentle electrical stimulation of the tissues and muscles. The gentle electric current directed to the targeted areas stimulates collagen production, elasticity, cell regeneration and increases blood circulation. The results of this method are immediate but they can only last for 48 hours making it best method for any special event. 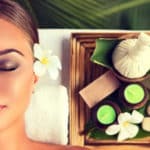 However, the regular treatment sessions lead to the long-term results such as improved skin elasticity, better physical appearance of face and improves facial contour. The cost of these procedures varies depending on the treatment areas and the total number of treatment sessions needed. They are less expensive as compared to the surgical facelift procedures. Any individual who has visible signs of aging and who doesn’t want a facelift surgery can undergo these alternatives. Although the surgical procedures give dramatic results, but yet a person may not want to opt them for various reason like trauma of surgery, costliness, time consumption, post-surgery bruises or marks and the risk of complications. An individual having any of these reasons can go for non-surgical alternatives to achieve the younger look. If you want to choose these non-surgical alternatives for facelift then make sure to consult the doctor regarding your concerns. The Board Certified cosmetic surgeons at Laser Klinic offer non-surgical procedures with a proper treatment plan..